Investors always try to diversify their portfolios with a proper blend of fixed income securities and equities. Equities can give high returns but at the same time, they hold high risk as well. So, diversification of investment is very important. 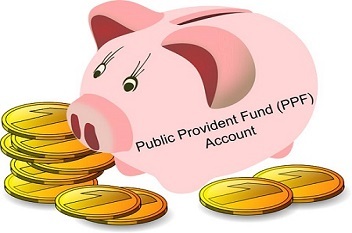 Public Provident Fund (PPF) is a fixed income investment option, backed by the government of India, framed under the PPF Act of 1968. Here some of the important aspects of PPF are discussed which may be useful for the investors looking for investments in PPF. Government started the scheme of PPF primarily for the self-employed individuals and workers to provide them the retirement security. PPF is the safest and most popular long term small savings scheme which offers attractive returns and are fully exempted from tax. Any individual may on his own behalf or on behalf of a minor open a PPF amount in nearest State Bank’s branch or any nationalised banks and the post office. A photograph, PAN number and some form filling formalities are required to open a PPF account. Once the account is opened, a person will receive a pass book which will keep track of all the PPF transactions done. An individual is allowed to have only one PPF account in his/her lifetime. An individual can open an account on behalf of a minor only if he/she is the guardian or parent of that minor. Joint accounts are not allowed in a PPF scheme. Non-resident Indians are not eligible to open a PPF account. First and fifth day of any month is considered as the best time to invest in PPF. Interest calculated is for the calendar month on the lowest balance at credit of any individual’s account, between the close of the fifth day and the end of the month. Interest is compounded annually, however, interest calculation is done every month, and is credited at the end of every year. The PPF scheme follows an April to March year, so to earn maximum interest, one should invest on or before April 5, every year. Loan facility is also available against a PPF account. A first loan can be taken in the third year of opening the account and loan amount is restricted to 25% of the balance including interest for the first year. The loan must be repaid in maximum of 36 EMIs. Withdrawals shall be allowed only after the expiry of a period of five years from the end of the year in which he makes the initial subscription to the Fund. There is a lock-in period of 15 years. After the maturity period, an individual can either withdraw complete amount or extend the PPF account with or without any contribution. Extension of PPF account is allowed only in a 5 years block, at a time, as many times as an individual wants.